Every other day, it seems, I read something about reviewer bias. Ive had a few words to say about it myself. But while I know such biases exist -- I have my own likes and dislikes -- Im not sure they shade audio reviews as much as some other influences do. Case in point: expectations. Like it or not, its easy to be lulled into the mindset that more money always buys more performance. As they rise through the ranks, reviewers tend to gravitate toward more expensive and more exotic gear; as the prices rise, reviewers always seem to hear more this or that. Nor is there ever a lack of upgraded models showing up on their doorsteps. The problem is that, without occasionally cleansing the aural palate with some high-performance but inexpensive components, its all too easy to lose sight of where any given product actually fits in the hierarchy of this here audio business. I keep a set of Paradigm Studio 100 v.3 loudspeakers for just this purpose -- theyre excellent speakers across the board, and at a very reasonable price ($2100/pair USD). But even with my efforts to stay in touch with reality, sometimes my expectations are shaken up. This was one of those times. Lets see, what can I glean from the specs . . . 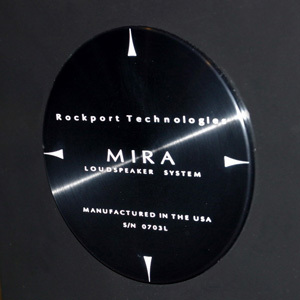 The Rockport Technologies Mira ($13,500/pair) is a moderately sized (45.89"H x 10.25"W x 20.67"D), moderately sensitive (88dB/2.83V input), 4-ohm, three-way floorstander with a claimed bass extension of 35Hz, -3dB -- deep, but not superdeep. Its 1" Scan-Speak soft-dome tweeter is less costly than Scan-Speaks top-of-the-line Revelator, but still uses the Revelator motor system. 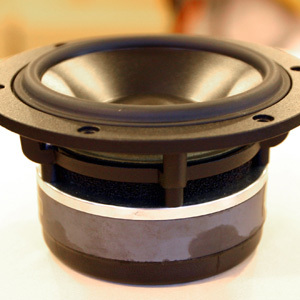 The custom 5.25" Audiotechnology midrange driver is extremely pricey, but the woofer -- a side-firing 10" cone of ultrastiff paper from Vifa -- is not exotic. 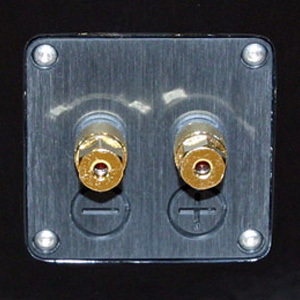 The rear panel of the Mira has a large flared port and a single pair of Cardas rhodium-plated binding posts, these wired to the fully potted crossover in the base with Transparent Audio cables (the crossover itself is wired point to point). Though the Mira weighs 140 pounds, its stout cabinet is made of MDF, not the far more elaborate composite moldings of Rockports pricier models. As I unboxed the Miras, I noted the stunning quality of their finish -- easily on a par with the best Ive seen. The piano-black lacquer (silver is also available) had no ripples, orange peel, or visible imperfections. The cabinet itself felt quite solid; seven braces inside see to that. Nor is the cabinet merely a box of MDF, but a constrained-layer-damped enclosure: two 0.75"-thick layers of MDF sandwich a layer of viscoelastic material. The added thickness of the second MDF layer makes the cabinet much stiffer -- eight times as stiff, according to designer Andy Payor -- while the viscoelastic layer supplies the damping mechanism. The front baffle, also of MDF, is a whopping 3" thick. The sound of my knuckles rapping on the cabinet indicated that it was as dead as the proverbial doornail. The Miras raked-back front baffle is chamfered to prevent acoustically harmful diffraction effects, says Payor, and inset into it is a laser-cut Steinway felt pad that surrounds the tweeter and midrange. Overall, the Mira is a very robust package. Moving the Miras into place is best done by two people: Theyre heavy, and you wouldnt want to accidentally mar the finish. I initially placed the Miras in my Music Vault listening room in spots that have served me well with other speakers of the Miras size. I fine-tuned their placement with the help of True Audios TrueRTA, a software program that allows me to do in-room frequency-response measurements, with the help of my laptop, a tripod, and a Behringer microphone. I compromised between the flattest-measuring positions and those that gave me the widest, deepest soundstage. Partnering electronics were my Vitus Audio SS-101 integrated amplifier and an Esoteric UX-3SE SACD/CD/DVD-A/V player. Cables and power conditioning were from Shunyata Research. Here is where my expectations came in. I figured the Mira would be a well-designed speaker that would sound good across the board, but might not be spectacular in any particular area. In short, I thought Id probably like em but not love em. But then something happened: I listened to them. Dissecting the Miras sound into individual elements wasnt easy. This speaker sounded eerily coherent from top to bottom. I expected that its side-firing woofer would sound a bit disjointed due to its physical location in relation to the midrange driver, but thats not what I heard at all. I suspect that the woofers excellent blend with the midrange had something to do with its crossover frequency being fairly low and the woofer operating more as a subwoofer -- meaning that its output is essentially omnidirectional. Whatever the case, the Miras prodigious low bass integrated masterfully with its midbass and midrange outputs. The real trick, though, was the transition from the midrange to the tweeter. I found it simply impossible to listen to the output of "a tweeter" or "a midrange." First, the music was completely disconnected from the speaker baffles. Second, there was no audible transition between mids and highs: seamless coherence was the rule. The soundtrack to 300 [CD, Warner Sunset 101272-2] is filled with orchestral bombast, some electric guitar, solo vocalists, a chorus, and good if not outstanding dynamic range. It is an excellent test for an audio system for several reasons: It will task a pair of speakers ability to sort through and cogently present complex music. While doing this, the speakers must also reproduce some fine ambient shading within a vast soundstage. This can all get muddled by a poor system, as I found out while trying to enjoy the music in my car. The Rockport Miras handled 300 without a hitch, presenting a wall-to-wall soundstage with clear images, and simultaneously reproducing the full range of frequencies within this varied music. Track 7, "Cursed by Beauty," has Taiko drums and haunting vocals, all presented in a swirling mixture of sound. The Miras were able to admirably reproduce the large-scale portions of the song, as well as present its nuances with convincing subtlety. 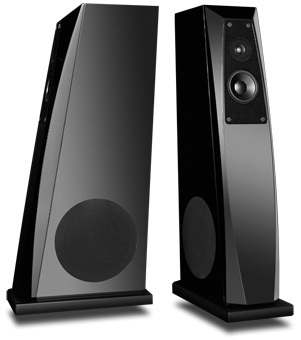 I could play any type of music through these speakers without fretting. Next I played Steely Dans Everything Must Go [DVD-A, Reprise 48435-9], to assess the Miras midrange performance -- perhaps the speakers most striking quality. Vocals were as crystal clear and tonally accurate as Ive heard. In fact, I found it difficult to fault the Miras reproduction of vocals. In "Things I Miss the Most" I heard all the inflections in Donald Fagens voice without a hint of chestiness or nasality. It was all just crisp and convincing. Like all Steely Dan recordings, this one must be played on a system that keeps the pace going -- the percussion has exacting leading edges and excellent overall jump factor. The Mira kept pace wonderfully, not slowing down the music at all -- a crucial component of convincing sonic reproduction. Rockport rates the Mira as being able to play down to 35Hz, -3dB. 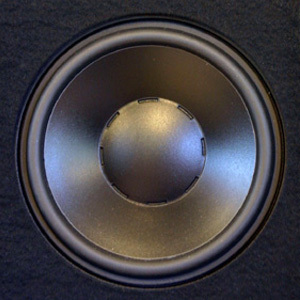 Ive known for some time that low-frequency extension is one specification commonly exaggerated by speaker manufacturers. But not this time. Perhaps I was experiencing a bit more room gain with the Miras than I have with other loudspeakers, maybe due to their side-firing woofers (faced out in my room). Whatever the reason, the Miras bass agility was outstanding -- remarkably deep, tight, and fast. Whether you like to follow along with every strum of an electric bass guitar or feel the texture of percussion instruments as if theyre being whacked right next to you, the Miras will let you do that. Overall, they had a low-end weight that Ive experienced in my room only with speakers that have huge, multiple woofers and six-figure prices. It seems to defy logic, but I heard what I heard. Dead Can Dances Into the Labyrinth [CD, 4AD 45384-2] is filled with various percussion instruments and synthesizers, some of which go quite deep. The Miras were able to capture texture, rhythm, impact, and weight without flaw, and stopped and started on a dime. I would have no problem recommending the Mira to someone who loves solid, deep bass and has a good-sized room. Outside a big home-theater system, the addition of a subwoofer would be superfluous. So far, it seems that the Mira has earned from me a blanket recommendation. Basically, thats true. The only area where I feel that personal taste would come into play is the speakers high-frequency performance. The Mira was excellent at capturing fine detail, presenting all the information on recordings in a concise fashion. It was not hyper-detailed, however. If hearing excessive air around instruments is important to you, the Mira may leave you wanting just a bit. This aspect of its sound gave it a somewhat warmish character that I found pleasant. But I could see where someone who is used to a bit of etch in the highs would find the Mira a touch subdued. Still, listening to Loreena McKennitts "Dantes Prayer," from The Book of Secrets [CD, Warner Bros. 46719-2], was enlightening; it sounded spacious and airy, particularly at the beginning, when the chorus comes in. The Mira is the least expensive Rockport floorstander, and the least expensive Rockport save the new Mira Monitor ($5800/pair). What its not is a cut-off-at-the-knees model designed to leave you wanting a better Rockport. What it is is a full-range speaker that is incredibly complete: meticulously engineered, built, and finished. It will paint a sonic landscape that, no matter how expensive you think you need to go, will seduce and impress you. I compared the Rockport Mira with two much more expensive loudspeakers that I had on hand: the YG Acoustics Kipod ($38,000/pair) and the Wilson Audio Specialties WATT/Puppy 8 ($27,900/pair). The Kipods are still the reigning imaging champs in my room, casting the most precise soundstage Ive yet heard. By comparison, the Miras images were more full-bodied and palpable -- there was more life within the images, though they werent as razor-etched in space. The Mira played with more authority than the Kipod, moving more air in the low bass (about 40Hz and below) and therefore giving more heft and weight to music that demanded it. The Miras treble was not quite as prominent as the Kipods, though it wasnt missing anything in the upper frequencies. Even though the two speakers presentations were quite different, I couldnt tell which was giving me the more honest rendition of the highs. Now thats a conundrum for a reviewer. Both produced a spectacularly clear midrange with no hint of coloration. Voices through both speakers were as close to sonically transparent as Ive heard. The WATT/Puppy 8 provided another useful comparison for the Mira. Most obviously, I found the W/P8 to have the more energetic midbass punch of the two, along with incredible agility in that frequency band. With drum kits, for instance, the Wilson sounds extremely quick and tenacious. It also has the ability to keep pace with dynamic contrasts extraordinarily well, besting most speakers Ive heard in that area. The Miras highs, on the other hand, conveyed as much information as the Wilsons -- both produced detailed yet composed highs that could never be called analytical -- but its upper band was just a touch more relaxed. Both pairs of speakers also imaged in a manner spacious yet focused, though the Mira captured more of certain venues acoustic character. The Mira played with even greater presence and dexterity in the very lowest end, tracking bass instruments in a way that almost defied me to call the music reproduced. The YGA and Wilson speakers did a few things better than the Rockport Mira. At their far higher prices, they should -- they are highly enjoyable products. But the Mira did several things that neither of those expensive speakers do -- things the Mira shouldnt be expected to do at its price. Im not confident that, if I were to play all three speakers in my room for an average group of audiophiles, I would come away with a clear consensus as to which was most enjoyable. The kicker is that the Mira costs roughly half the price of the Wilson, and only about a third that of the YGA. That makes the Mira the true bargain of the bunch. The Rockport Technologies Mira is an extraordinarily complete loudspeaker -- not merely a really good $13,500/pair speaker, as Id expected it to be, but damn close to the state of the art for a more than reasonable cost. There are a few other things to consider as well: Rockport Technologies has been around for many years, indicating a safe purchase in terms of warranty and support; and the Miras build quality is exceptional, meaning its likely to last a long time. I cant think of a better way to put it: Considering everything, the Rockport Technologies Mira is one of the best loudspeaker deals in all of high-end audio -- and maybe the best that Ive come across.